You may run into situations where a router in a remote location needs to dial in to a central router, but the toll charges are much higher if the remote router makes the call. This scenario is perfect for PPP Callback, where the callback client places a call to a callback server, authentication takes place, and the server then hangs up on the client! This ensures that the client isn't charged for the call. The server then calls the client back. In the following example, R2 has been configured as the client and R1 is the callback server. Let's look at both configurations and the unique commands PPP Callback requires. Most of that configuration will look familiar to you, but the ppp callback request command might not. This command enables the BRI interface to request the callback. Simple enough, right? The PPP Callback Server config requires more configuration and an additional map-class as well. dialer callback-secure enables security on the callback. 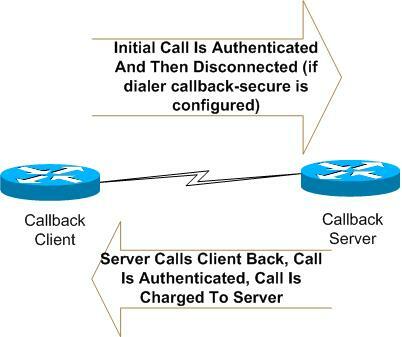 If the remote router cannot be authenticated for callback, the incoming call will be disconnected. The dialer map statement now calls the class CALL_R2_BACK, shown at the bottom of the config excerpt. ppp callback accept enables PPP callback on this router. dialer callback-server username tells the callback server that the device referenced in the dialer map statement is a callback client. The only way to find out if the config works is to test it, so let's send a ping from R2 to R1 and see if the callback takes place. The callback was successfully negotiated, and the call then disconnected. R1 then called R2 back, and show dialer on R1 confirms the purpose of the call. 0 incoming call(s) have been screened. 0 incoming call(s) rejected for callback. Pretty cool! PPP Callback isn't just important for passing your CCNA and CCNP exams - in circumstances such as shown in this example, it can save your organization quite a bit of money!